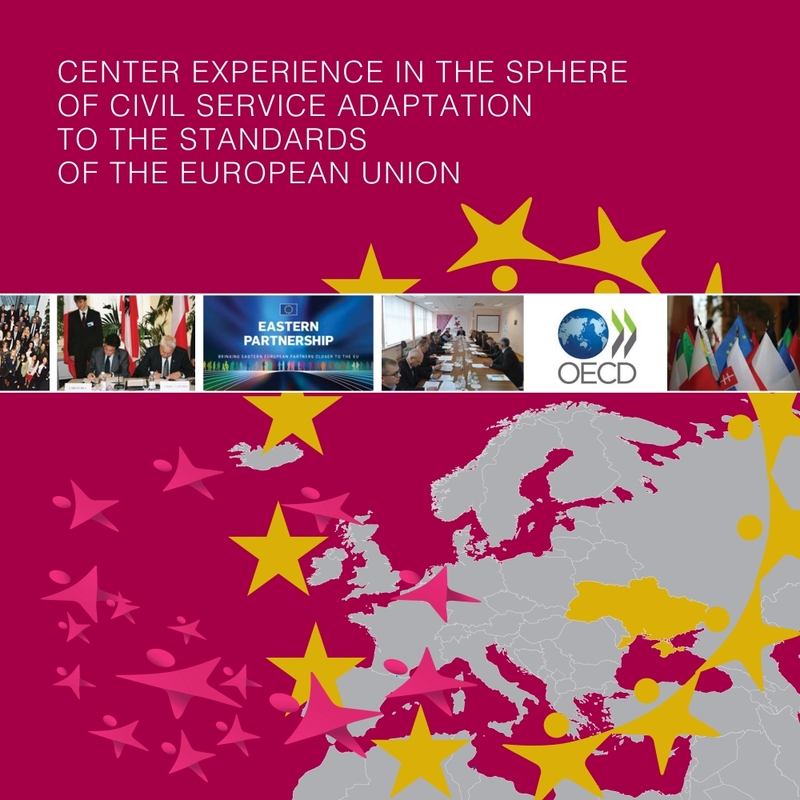 Center for Adaptation of the Civil Service to the Standards of the European Union disseminates legal, scientific and other types of information related to civil service, administrative reform and development of institutions in the context of European integration. Publications are disseminated among politicians and officials within central and local executive bodies, educational institutions, centers for re-training and advanced trainnig for officials in government bodies, bodies of local self-government, state enterprises, institutions and organizations. Publications in ukrainian language are presented here. The resolution of the Cabinet of Ministers of Ukraine of June 4, 2008 # 528 ruled to rename the Center for Support of the Civil Service Institutional Development into Center for Adaptation of the Civil Service to the Standards of the European Union, and enhanced its competencies. The purpose of that change was to strengthen institutional reforms in the public sector, first of all, an administrative reform, civil service reform, and personnel management reform in the public sector through the adaptation of the civil service to standards of the European Union. The Center for Support of the Civil Service Institutional Development was established under the Main Department of the Civil Service of Ukraine by a resolution of the Cabinet of Ministers of Ukraine # 485 of April 14, 2004 with the mission of providing informational, analytical, expert and organizational support to the development of public administration, strengthening of institutional capacity of the civil service of Ukraine and its adaptation to the standards of the European Union. The main spheres of the Center’s activity included law-making in the sphere of the civil service, functional review of central executive power bodies, introduction of a quality management system to the functioning of state authorities, personnel development and capacity building for personnel units within state authorities, and production of regular analytical and information publications with the aim of spreading news ideas and best practices in the sphere of the civil service and administrative reform. assisting the Main Department of the Civil Service of Ukraine in implementing its tasks and functions related to the application of institution building instruments in Ukraine. 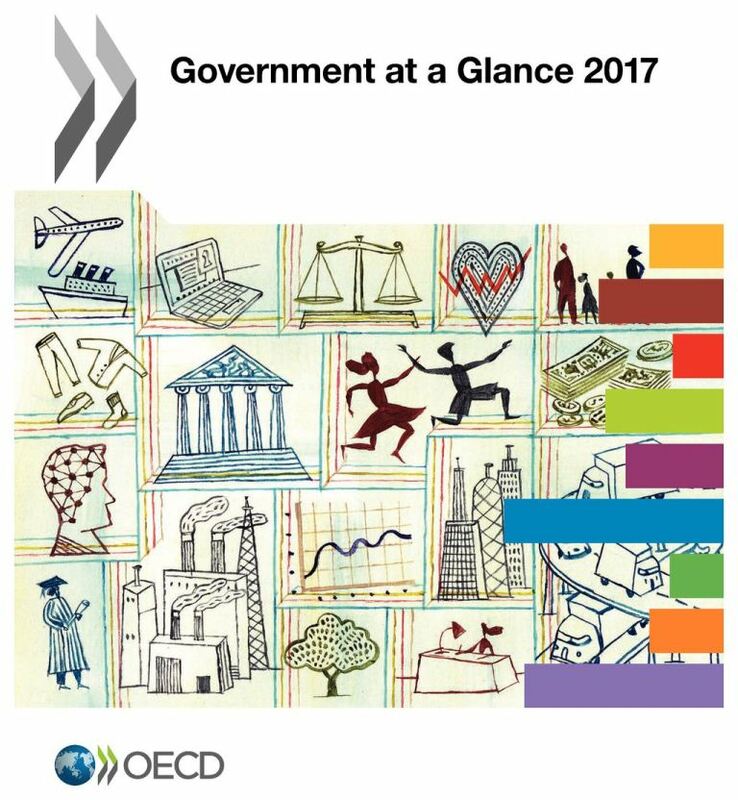 Thus, the functions of developing and implementing institution building instruments in Ukraine that before had been entrusted to the Main Department of the Civil Service of Ukraine and had been fulfilled according to its orders, have been singled out into a separate sphere of the Center’s activity. 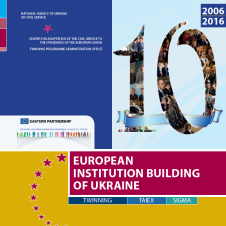 At present, the activity of the reformed Center focuses on modernizing public administration, harmonizing it with standards of the European Union, improving the mechanism of applying institution building instruments of the European Union: Twinning, TAIEX і SIGMA, in Ukraine, enhancing professional expertise of civil servants, expanding efforts towards informing the society on European integration issues, improving quality and broadening the scope of scientific research that is aimed at the development of the civil service and public administration.